The Five Islands Academy have had an interim executive board (IEB) in place since January 2017. This board was established by the Local Authority to support the school in its transition to joining a MAT and to work with the leadership to improve standards, following the Ofsted inspection in 2016. Holding the Headteacher to account for the educational performance of the school, pupils and performance management of the staff. The IEB work closely with the Executive Headteacher, the Headteacher and the staff to ensure that the school is the best that it can possibly be. We have the highest aspirations for the children and staff who attend Five Islands Academy. We also hold dear our Christian Ethos and our British Values such as tolerance, democracy, individual liberty and rule of law. Governors are volunteers who also work under the principles of public life, these are selflessness, integrity, objectivity, accountability openness, honesty and leadership. We endeavour to uphold all of these values in all that we do. 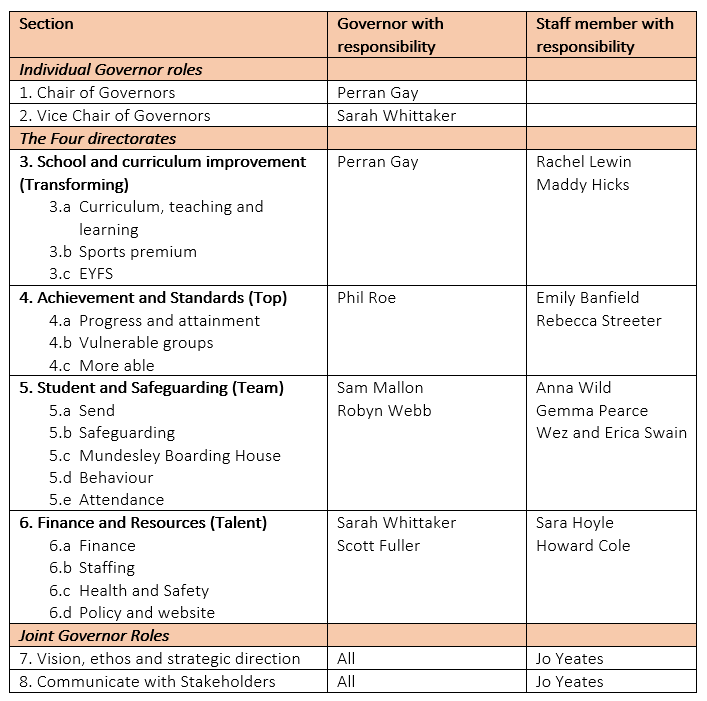 It is sometimes a bit of mystery what governors actually do so at our school we are striving to be as open and transparent as possible. We want the whole community to know the school so that we can work together to ensure that our children have the best possible learning experience. Jackie Eason, chair of the IEB, can be contacted here. The appointment of the IEB and its determination to secure better outcomes and stronger leadership at senior level has been instrumental in enabling the school to better safeguard pupils and improve the quality education. The IEB has made a good start in implementing the recommendations from the previous inspection report. The changes to the leadership of the school and regular meetings with senior leaders are raising expectations of what can be achieved. Senior leaders are now held to account for their actions to improve the quality of education. The IEB is providing the necessary governor expertise and challenge to secure the school’s future and maintain improvement. Working closely with staff and the newly established senior team, it is rapidly regaining the confidence of the school community. The local authority has given strong support through the setting up and continued support of the IEB. The IEB has played a significant role in helping the school to move forward on its improvement journey. It has acted swiftly to secure good-quality leaders and remedy significant weaknesses in safeguarding and the quality of teaching. The IEB is equipped with the necessary skills and expertise to maintain the momentum of improvement. 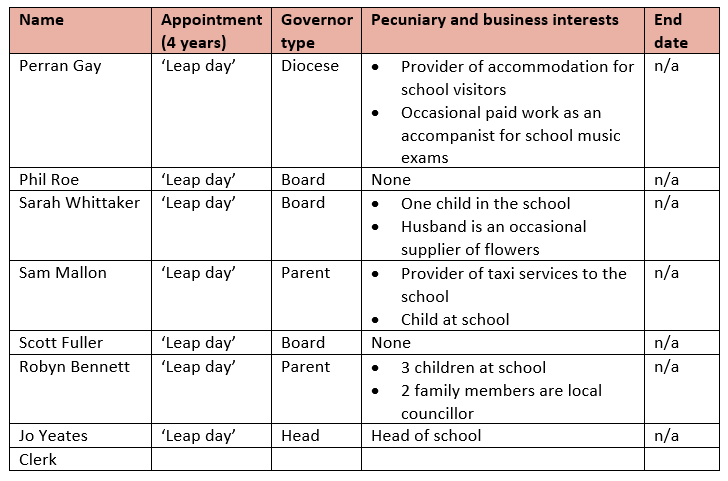 The IEB also considered it important to have representation on the local committee from an off island based family, a local authority representative, the diocese and a St Mary’s based family. Once a team was established they met with the IEB to discuss the role of governance, and have been attending meetings in a ‘shadow role’ this year. 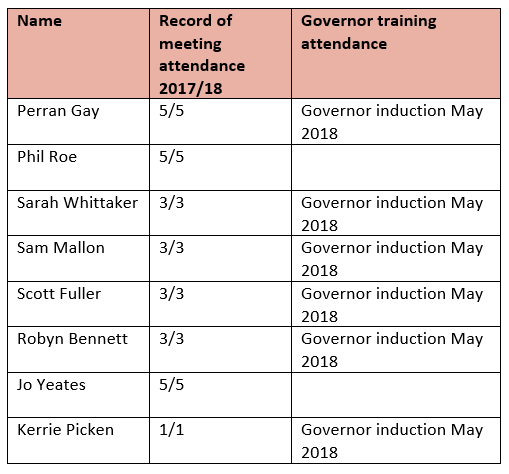 Governor induction training has taken place in May 2018. The FIAC are currently looking to appoint a new clerk. Our local Five Islands Academy Committee (FIAC) will become officially in post from the date when Five Islands joins the MAT. This is likely to be by April 1st 2019, due to the complexities of land transfers. FIAC members will ideally serve a minimum 4 year term.